LOL, Welcome to BI. Make sure you've read the rules and know what you can post and where you can post it. You can call me Abby, or Abbles. (Or you can even make up a new nickname for me. xD ). Remember to read the rules carefully. When someone posts on your page. You can reply to the message by clicking on the person's profile and then reply. You can make your own, or order one at BI members shops. (And don't worry it's free! lol) Just give them credit in your siggie. _______ made my siggie or avvie. You have to be a Trading Teddy that has had more than 30 successful trades. That's most of it . 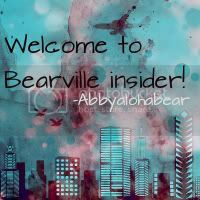 . . read and follow the RULES, make new friends, be kind to other BI members, and just have an awesome time here. Last edited by Abbyalohabear; 05-31-2012 at 10:06 PM..
hey there, welcome to BI. i'm Emily. Hey! I'm Jessica, Welcome to BI! Make sure to read the rules, and if you have any questions, look at FAQ which is next to USER CP and Community at the top. Or, ask a BI member. Once you have 10 posts, feel free to leave me a VM. I hope you have a fruitful experience here at BI and if you don't know anything, ask. There are a bunch more rules but i am not goin to post the all. I hope you enjoy it here remmember to be kind to others and i am sure you will love BI. If you have any questions or just want to talk you can V.M. me.